“When Richard Reynolds began planting flowers secretly at night outside his tower block in South London he had no idea he was part of a growing global movement committed to combating the forces of neglect, land shortage and apathy towards public spaces. But his blog www.GuerrillaGardening.org attracted other guerrillas from around the world to share their experiences of the horticultural front line with him and become a focal point for guerrilla gardeners everywhere. 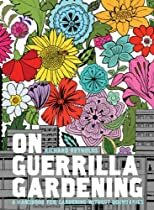 On Guerrilla Gardening is a lively colourful treatise about why people illicitly cultivate land and how to do it. From discretely beautifying corners of Montreal to striving for green communal space in Berlin and sustainable food production in San Francisco, from small gestures of fun in Zurich to bold political statements in Brazil, cultivating land beyond your boundary is a battle many different people are fighting. 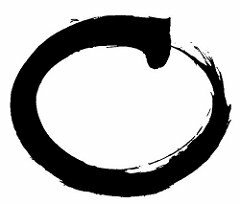 Unearthed along the way are the movement’s notable historic advances by seventeenth century English radicals, a nineteenth century American entrepreneur and artists in 1970s New York. Would you ask for permission to brighten up drab surroundings? Or just go ahead – even if it might be illegal? Hi Alan & Vanessa! :) I think I would. I had always found it amazing that local unknown artists risked it all to do beautiful graffiti anywhere they could…or sing folk songs under a bridge. I’m with you! – I love seeing all sorts of creativity in all kinds of unlikely places – it gives me hope. Should you desire great tranquillity, prepare to sweat white beads.